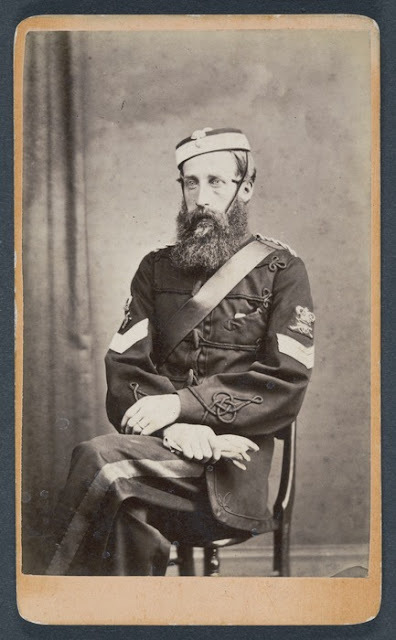 The Press described William Ryan as "respectably attired" in September 1870 at his appearance in court on charges of forgery. They also reported that he was someone who showed deep emotions when given sentence, and someone even prone to dissembling, fakery and over-acting. Care for his personal appearance was not attentuated by a prison sentence, it seems. When Thomas J. Nevin photographed Ryan for police and prison records at the Hobart Gaol during Ryan's six years of incarceration, the resulting photograph showed a clean shaven, nicely groomed and neatly dressed man in a prisoner's uniform, someone with a quiet and self-contained demeanour all round. Verso inscriptions: NEVIN, T. J. 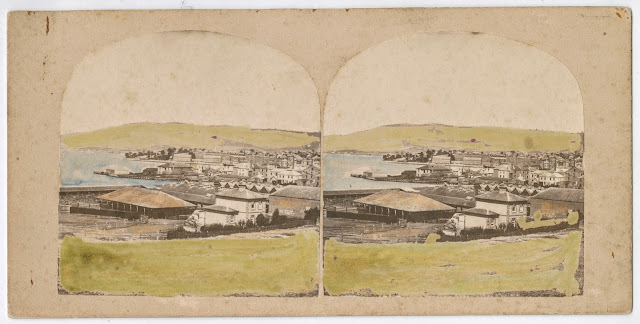 1874 "60"
William Ryan had not long arrived in Tasmania when he was tried for uttering a forged cheque at Launceston on 29th December 1868 and sentenced to two years' imprisonment. Within months of discharge, he was arrested and sentenced at the Hobart Supreme Court to ten years' imprisonment for uttering forged cheques. The newspapers of the day took pleasure in reporting the ingenuity of the police in catching him, and the antics of the prisoner in the dock at the Police Court before His Worship the Mayor. The Newspaper Reports: William Ryan "wholesale forger"
Before His Worship the Mayor. Forgery:- William Ryan was placed in the dock on three charges of forgery, viz. - First, for having on the 5th of September forged a cheque for £5.12s. 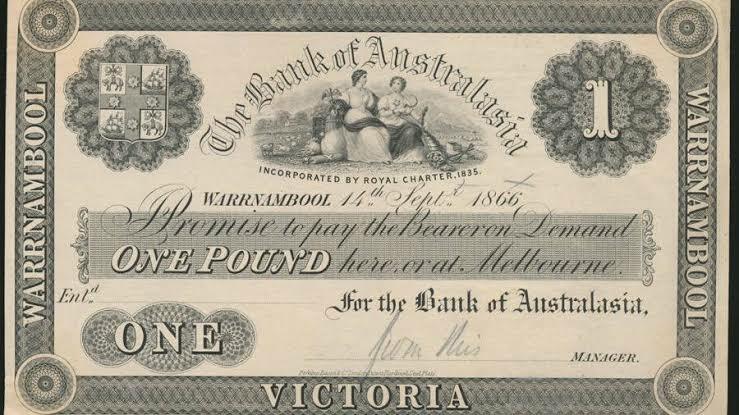 bearing the name of John McDermott, and passed it on Mr. W. F. Brownell, draper, of Liverpool-street; secondly , with having on the 17th of September forged and uttered a cheque bearing the name of John Swain for £3.10s. on Mr Winch, grocer, of Davey-street; and thirdly, with forging and uttering a cheque on Mr. Thomas Downey for £4.10s. The police asked for the accused to be remanded till the 28th of September. Remanded accordingly. Forgery Case:- A man named William Ryan, recently released from a two years' incarceration, was placed in the dock at the Police Court yesterday, charged with forging three cheques for £5.12s., £3.10s., and £4.10s respectively, all of which he had succeeded in getting cashed at various business places in Hobart Town. The first cheque was cashed by an assistant of Mr. Brownell, draper, of Liverpool-street, on the 5th of September, since which time, up to Saturday last, the police have been vainly endeavouring to unearth the forger. On Saturday last, however, between the hours of five and six o'clock in the evening, these efforts were rewarded with success. Detective Vickers, accompanied by Sergeant Waller, at the time mentioned happening to be standing near the corner of Harrington and Liverpool-street, observed a man come out of Mr. McCormack's drapery shop, carrying some carpenter's tools. Directly the man caught sight of the constables he began to make off very rapidly, and in his haste dropped one of the tools he had been carrying. Detective Vickers sang out to him that he had dropped something, which only had the effect of quickening the man's pace. This aroused the detective's suspicions, and he ran into Mr. McCormack's shop, and ascertained from him that the man had endevoured to pass a cheque, which he (Mr. McCormack) had refused to accept. Preparations were then made for a capture, Detective Vickers going one way and Sergeant Waller another, so as to hedge the suspicious individual in, and to prevent his escape. 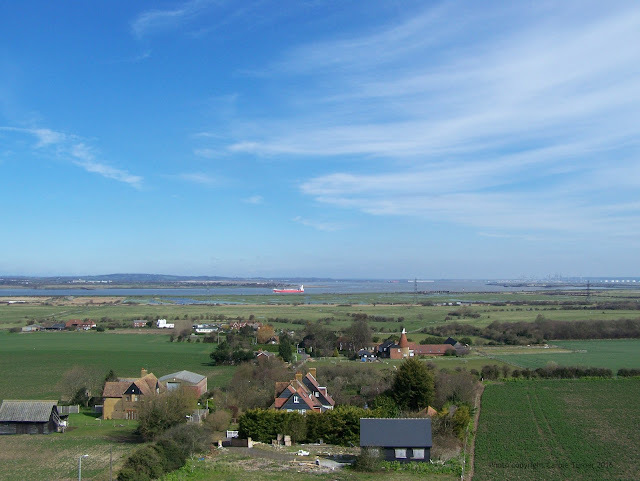 This proved successful, for after a run of about a mile and a half, he was brought to bay, and conveyed to the watchhouse. On searching him, several £1 notes and a cheque for £3.10s., which he had been unable to get cashed, were found on him. The charge was not proceeded with yesterday, as the police, for certain reasons, asked for a remand till Wednesday, the 28th inst, which request was granted. A Wholesale Forger:- William Ryan, a middle-aged, respectably attired man, was placed in the prisoners dock at the Police Court yesterday, on three distinct charges of forgery. 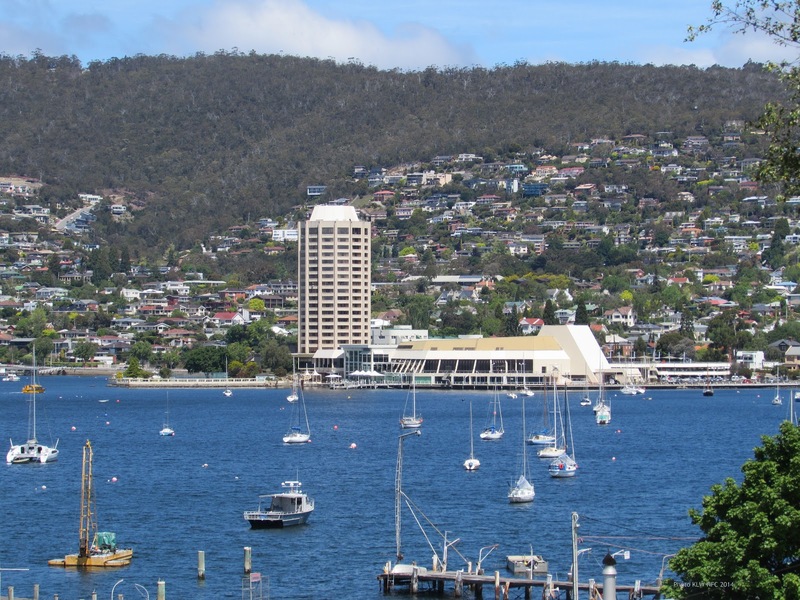 The evidence in each case was of the most conclusive character, and left not the shadow of a doubt as to the guilt of the accused, who was accordingly committed to take his trial at the next Criminal Sessions, which commence in Hobart Town on the 22nd November next. 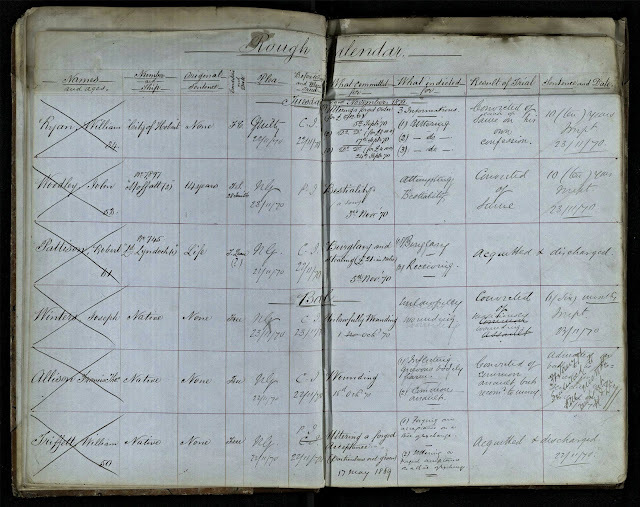 Though the prisoner had only recently been liberated from Port Arthur from serving a sentence for a similar offence, he affected to be very much hurt as the position in which he found himself, turning his back on the people in court, and hiding his face in his hands, and when asked to sign his name in the usual way to the committment paper, he professed his inability to sign his name. The extraordinary spectacle of a forger unable to write caused a smile. The acting was overdone. An extended account was also published in the Mercury on 29th September 1870, page 3, with detailed depositions from witnesses, and Superintendent Propsting conducting the case. 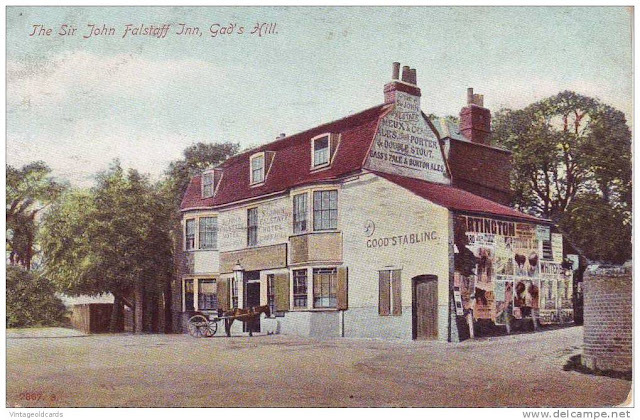 Mercury, Saturday 19th November 1870. The session of Oyer and Terminer and General Gaol Delivery will commence on Tuesday next at 11. a.m., at the Court House, Campbell-Street, before Mr. Justice Dobson. A second Court will be presided over by the Chief Justice. The following is the calendar. 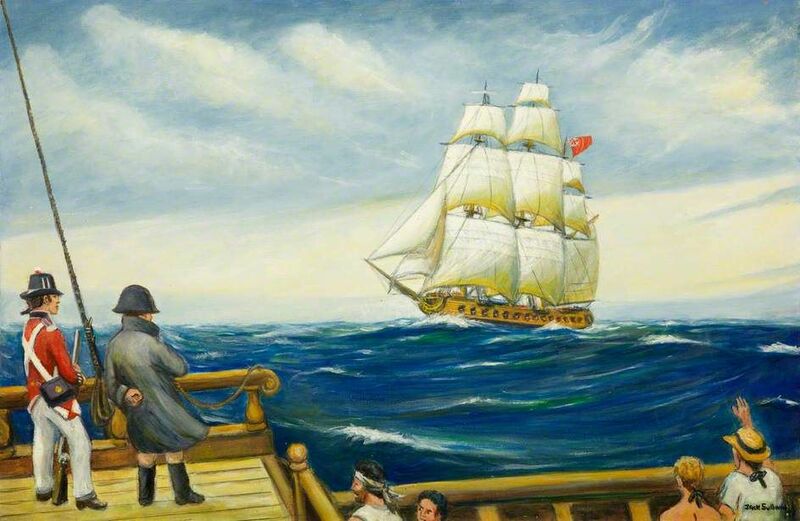 William Ryan was placed in the dock to receive sentence for committing forgery. 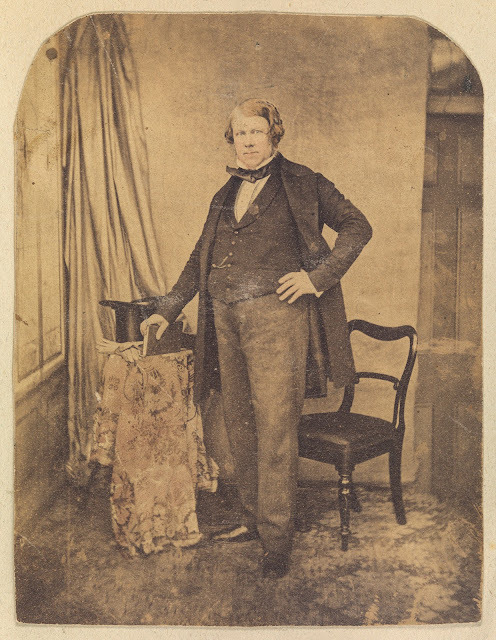 When asked if he had anything to say why sentence should not be passed on him, he said he hoped His Honor would temper mercy with justice as before committing the forgeries he had endeavoured to get assistance from Government to enable him to go to Launceston, where he had a wife and two children, and where he had left his tools. He had been unsuccessful in that endeavour, and he tried to get money by forgery. His Honor, addressing the prisoner, said on examination he found that he (the prisoner) had been in the colony about two years. 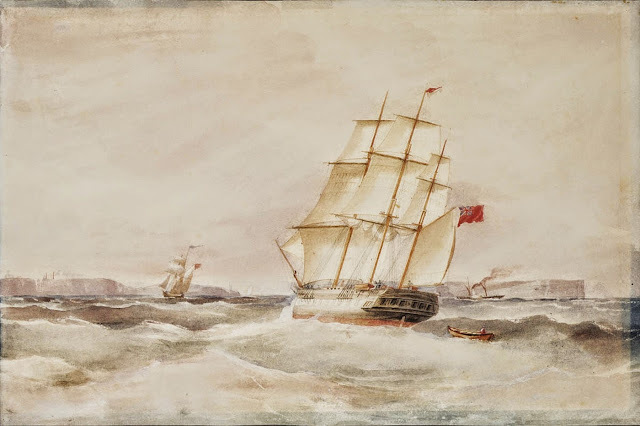 Shortly after his arrival he was sentenced to two years' imprisonment for forgery; and before he had been out of custody many weeks he again committed forgery. He (the judge) could not accept the prisoner's statement as to his endeavouring to obtain relief from Government before he committed the forgery as extenuating the crime in the slightest degree. The maximum punishment for forgery allowed by the law was imprisonment for life, but he (the judge) would not sentence him to the full extent allowed by law, but would order him to be imprisoned for a term that would give him time for reflection. The sentence, which he considered it his duty to inflict, was that he (the prisoner) be imprisoned for a period of ten years. The prisoner, who seemed deeply affected, was then removed. The court then rose. Does the public need the opinions of museum and library cataloguists which go well beyond basic documented fact? 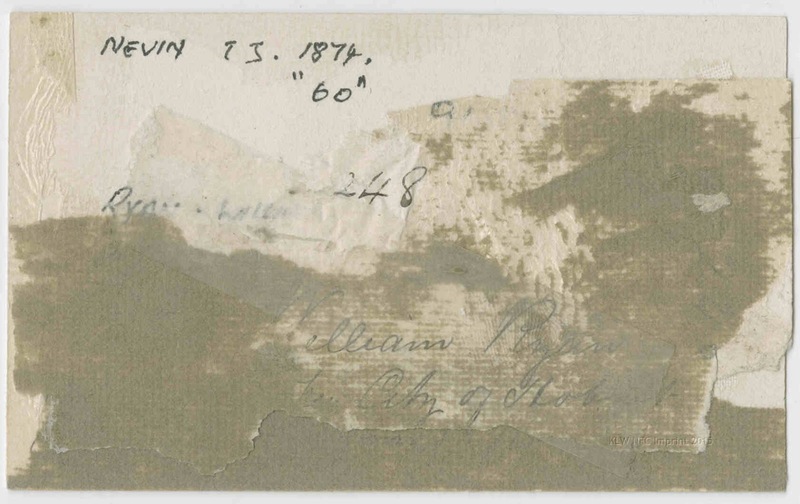 Their so-called "research" which often appears accompanying old photographs may mislead, and in some cases, deliberately so, as this TMAG catalogue reference for Nevin's photograph of William Ryan demonstrates. 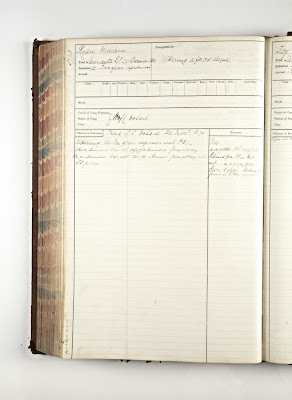 CALLOUTS: This is the database information for Nevin's photograph of William Ryan at the Tasmanian Museum and Art Gallery (received here in 2015). 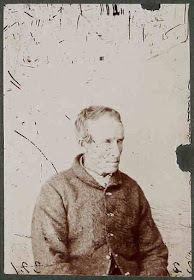 Even though Nevin's name and date of photographic capture was clearly written on the verso decades or even a century earlier, the cataloguist not only chose to ignore it, she wrongly transcribed Nevin's second initial "J" as "S", despite all prior research, publications and exhibitions of these Tasmanian mugshots in Nevin's name right throughout the 20th century. 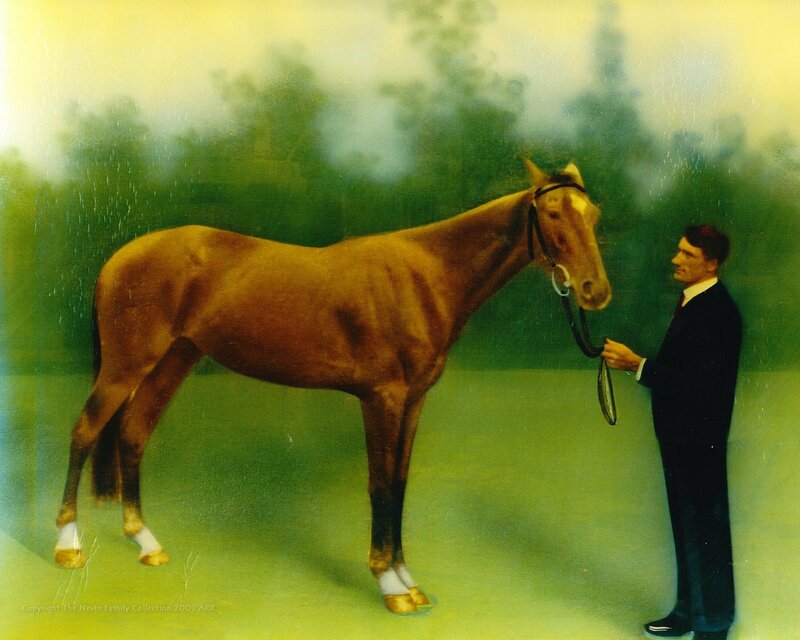 1, "keen amateur" ... A.H. Boyd was not a photographer, keen, amateur or otherwise. No photographic works exist by A. H. Boyd in public collections, nor have his descendants proffered or published a single photograph they can claim to be taken by Boyd from private collections. 2. "room .. studio ... darkroom" ... 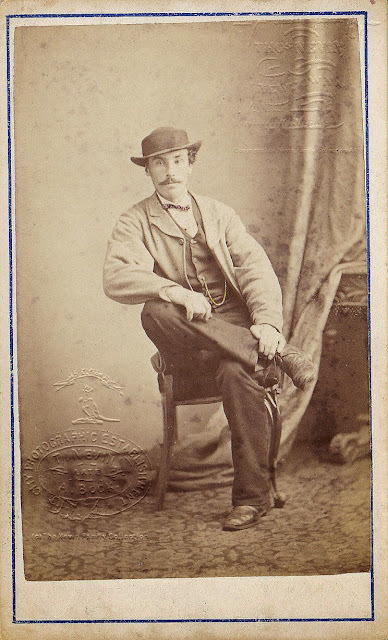 The so-called "room" at Port Arthur was the Officer's library established in 1866 by the previous commandant James Boyd and used as a studio by visiting photographers Alfred Bock (1866), Samuel Clifford (1873) and Thomas Nevin (1872-1874). 3. 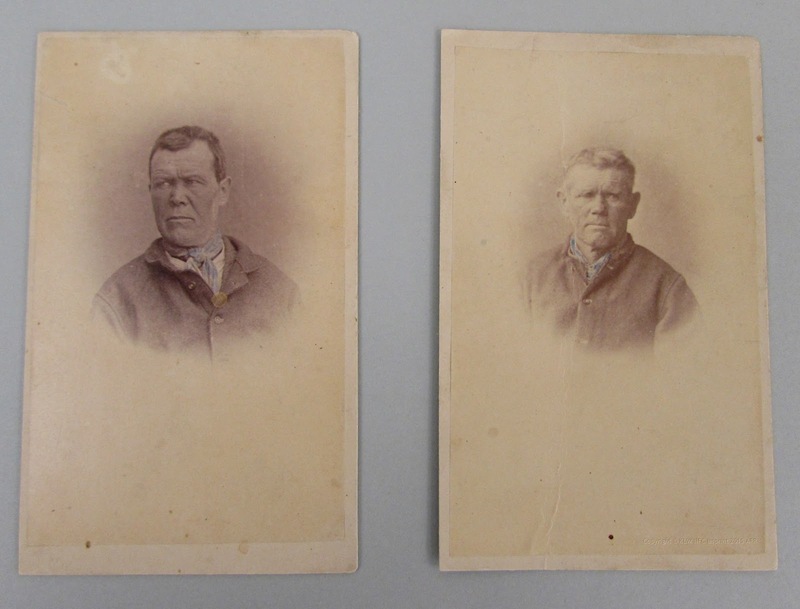 "instructions given to Boyd to photograph the convicts" ...The claim that a document held at the State Library of NSW refers to instructions given to Commandant James Boyd's successor at Port Arthur , A. H. Boyd (1871-1873) to photograph prisoners is incorrect. No such document exists. 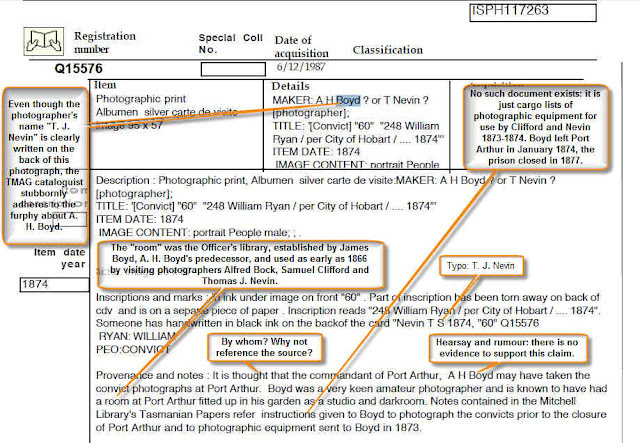 The so-called "document" in question is nothing more than cargo lists of photographic materials sent to Port Arthur for use by Samuel Clifford and Thomas J. Nevin in 1873. 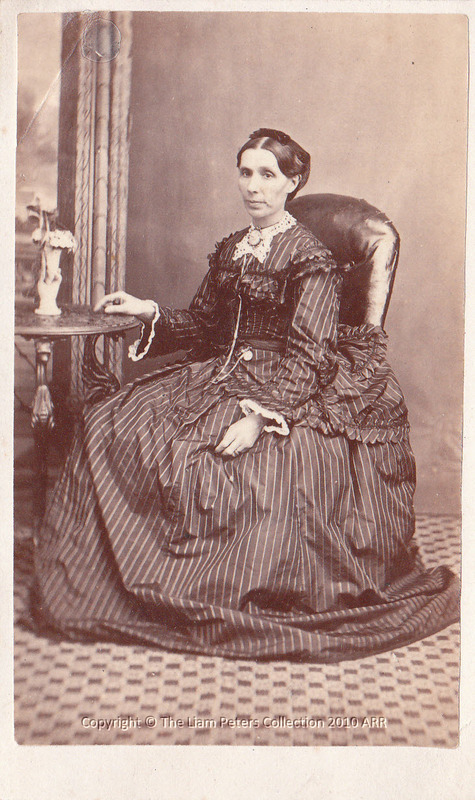 A. H. Boyd was not a photographer. 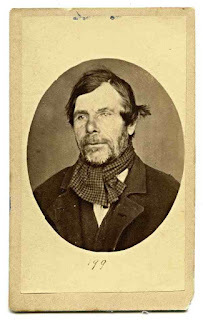 He was not the photographer of police mugshots dating from the 1870s which found their way into public collections. Speculation to the contrary is a waste of time and effort, and potentially fraudulent. 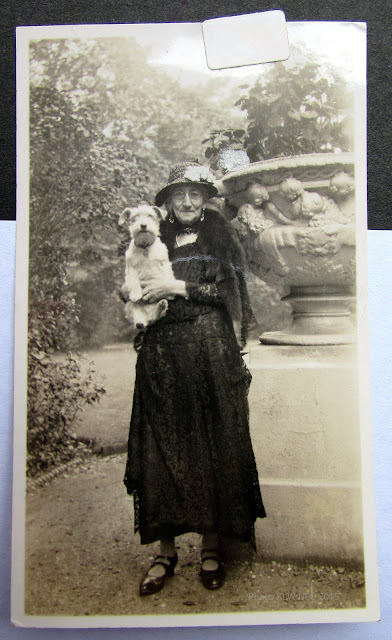 Instead of wasting time doing so-called "research", cataloguists in museums and libraries would better serve the public by digitising and placing online the recto AND THE VERSO of photographs, and nothing more. The public will do the rest. 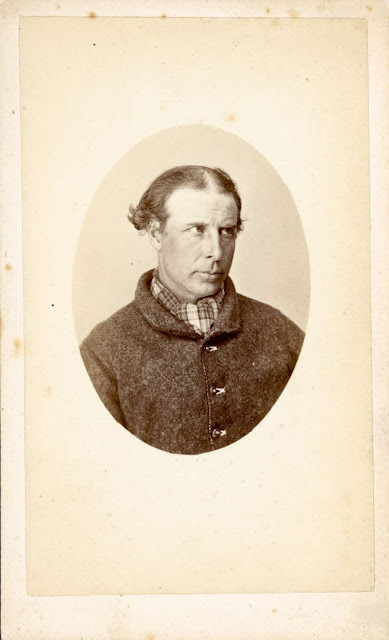 William Ryan was served a two-year sentence handed down on 29th December 1868 at Launceston. 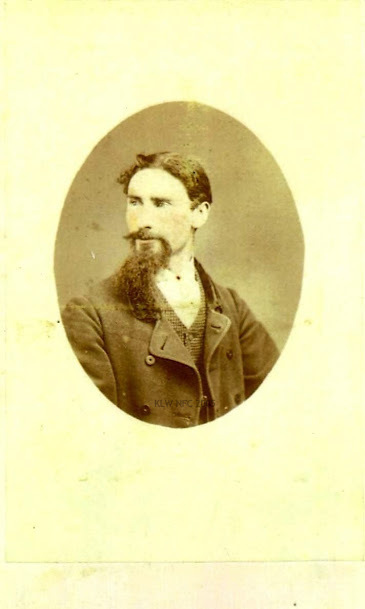 He was sent to Port Arthur from where he was "liberated" in 1870. 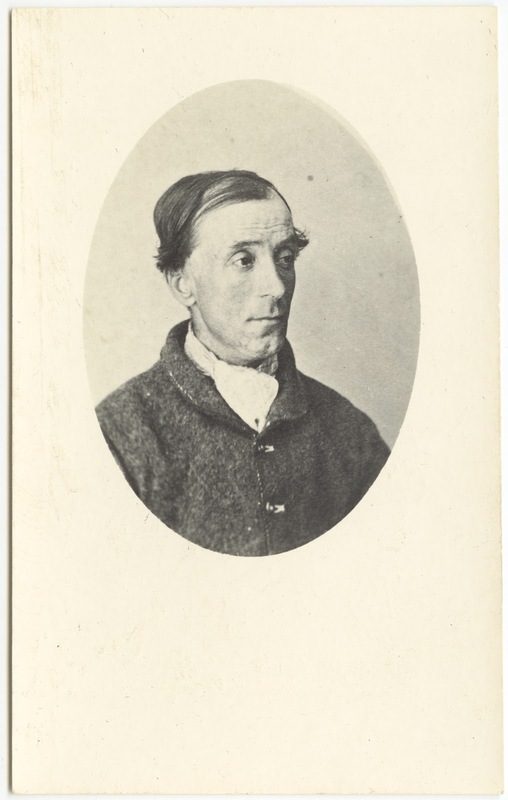 For his second sentence of ten years, he was listed in the Hobart Supreme Court calendar for trial on Tuesday, 22nd November 1870. Whether he was sent back to Port Arthur or remained at the Hobart Gaol is not clear. 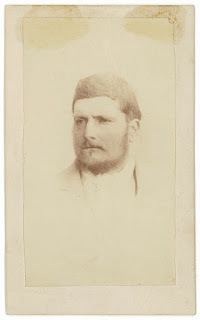 There is no mention of Port Arthur on the verso of his photograph, and his name does not appear on the Port Arthur conduct registers for 1868 to 1876. His name is also missing from the list tabled in Parliament in July 1873 of prisoners sent to Port Arthur and subsequently relocated to the Hobart Gaol by 1874. 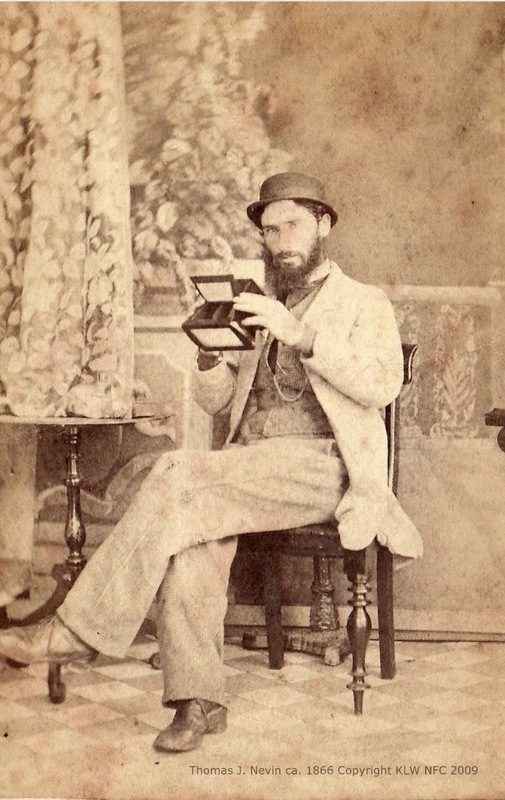 William Ryan was already at the Hobart Gaol in 1874 when Thomas Nevin took his photograph for the police registers and prison records. 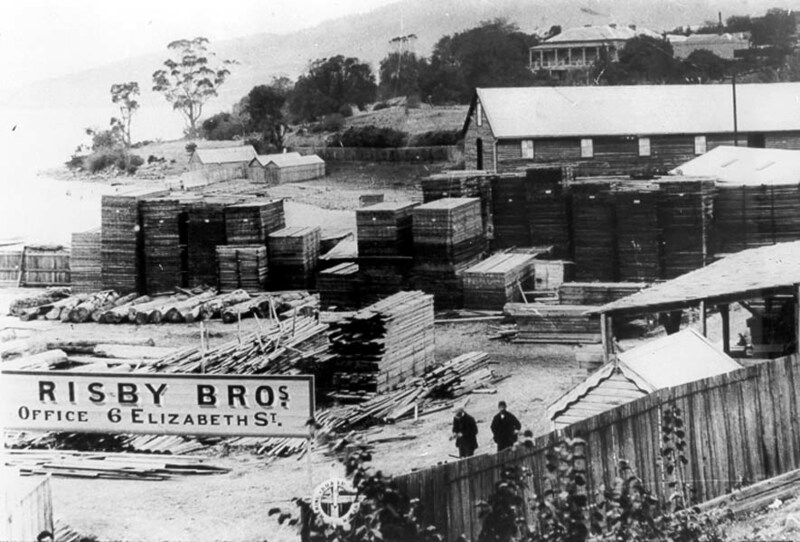 Rough Calendar Hobart Supreme Court, 29th November 1870. Source: Tasmania Reports of Crime Information for Police. J. Barnard, Gov't printer. 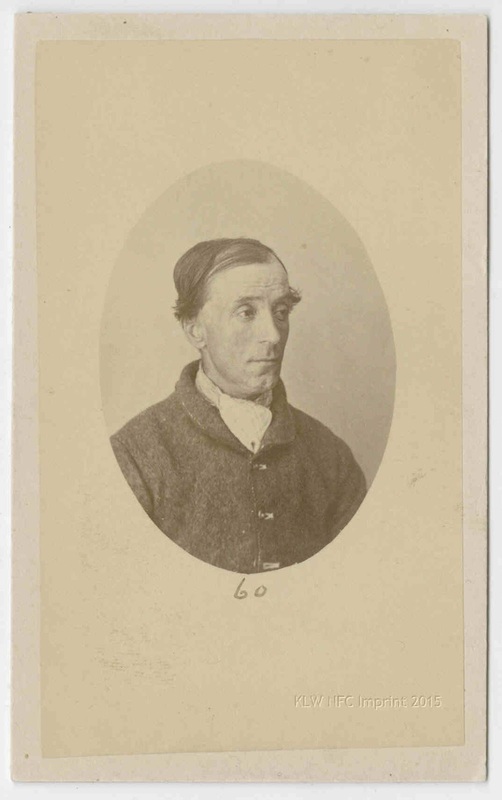 William Ryan was discharged from the Hobart Gaol in the week ending 3rd May 1876, residue of sentence remitted. He was described as 49 yrs old, dark brown hair, 5'5" tall. 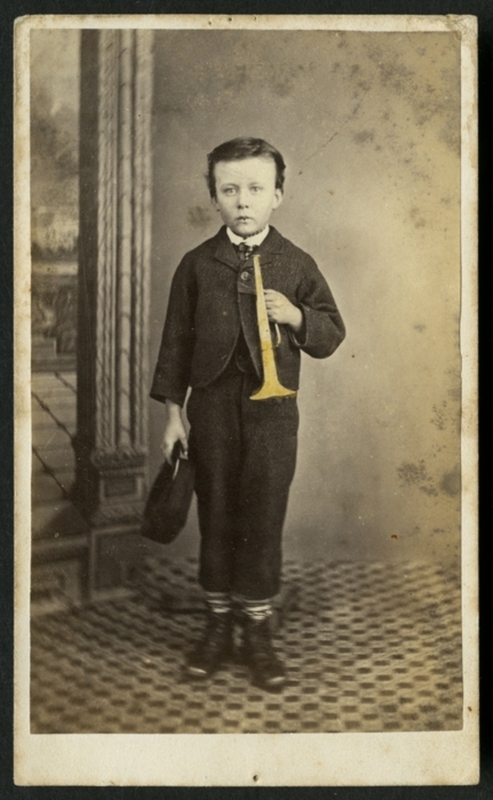 This print from Nevin's original negative was produced at a date later than the same image held at the TMAG. 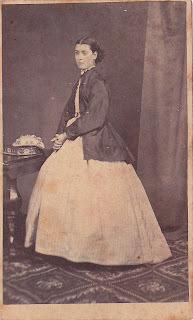 It shows evidence around the top right side of the oval mount of having been pasted over an earlier version, and it was not printed at that time for that purpose as a full carte-de-visite. 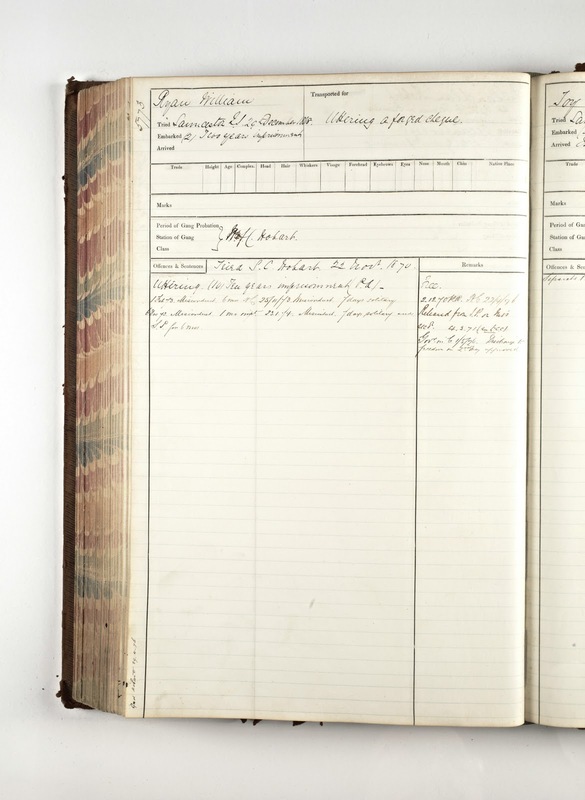 It was probably one of the originals pasted to Ryan's criminal record sheet on his discharge which was then bound as the Hobart Gaol record book for 1874-1876, mysteriously missing now its original photographs (TAHO holdings). 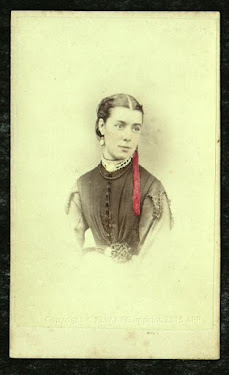 The TMAG item (at top) which is a full-carte-de-visite, probably one of Nevin's stand-alone duplicates, is in fair condition, and not greatly reproduced through scanning (2015), while this version (below) which is held at the State Library of Tasmania is in overall better condition, and has been digitized through photographic reproduction. 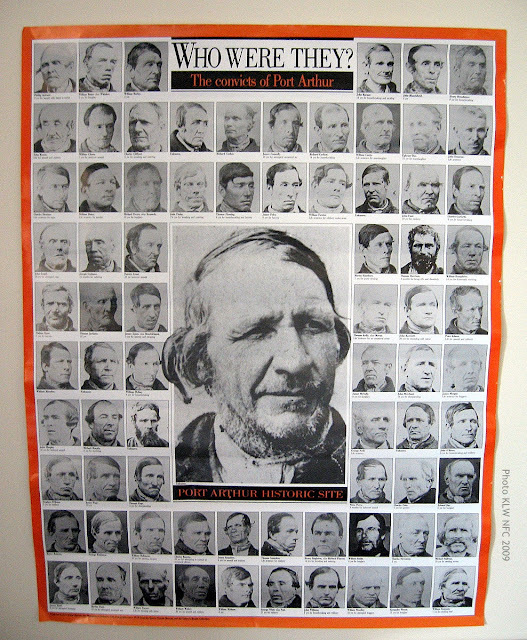 Note too that this print does not bear the number "60" on the mount, which further suggests it was removed more recently from the Hobart Gaol book, while the TMAG item, which was originally held at the Queen Victoria Museum and Art Gallery as part of convictaria collector John Watt Beattie's estate, was removed in 1983 for an exhibition at Port Arthur, where it was exposed to air, and deposited at the TMAG instead of being returned to the QVMAG.